The BR Beer Scene: Two More Reasons To Come To Zapp's! Two More Reasons To Come To Zapp's! As if you needed any more reasons... I mean, I'll be there with Brasseurs A La Maison serving up some tasty homebrew. We have over 30 beers planned and I have a feeling most will be of the highest quality. All but mine, most likely. Tin Roof Brewing will be there from just down the road, if you haven't tried their Blonde Ale yet (the never realized LSU beer) then you need to, it's a really good example of the style. Plus all sorts of imports and other beer from the region will be present like Lazy Magnolia and Saint Arnold. Here are two more reasons to show up and try some beer... Chafunkta Brewing (twitter) and Gnarly Barley Brewing (twitter - facebook) will both be there showing off some of their brews! If you haven't heard of these guys, don't feel too bad. Chafunkta Brewing was formerly known as Pelican Brewing but changed their name to avoid any confusion with the Pelican Pub & Brewery in Oregon. Even though the possibility of both brands colliding anywhere outside of maybe GABF was slim anytime soon, it's probably not a bad move. 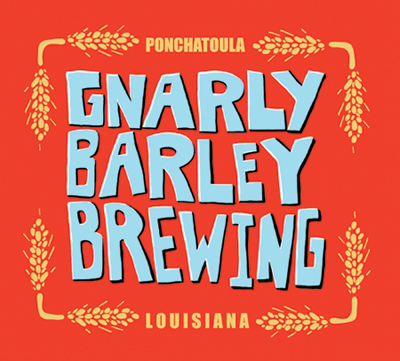 Gnarly Barley Brewing is located in Ponchatoula and their site talks about their Korova Coffee Porter and Lazy IPA so I'd bet we'll see those two beers at Zapp's. So, can't complain about any of this... more new beers to try in two weeks! Here's hoping the weather is nice and the beer never runs out. Buy your tickets ahead of time if possible, they might run out.